Well I didn't think I was going to be away this long. A lot has happened since my last post, just dealing with visiting with doctors and dealing with medications. It wasn't a fun early Autumn for me, I'm doing okay for now. I don't want to say a whole lot about it, something I was worried about and figure out what was bothering me. Nothing serious, just womanly stuff we woman have to deal with when getting older. Sooooo...Any ways, just been busy with my jobs and trying to enjoy my autumn. 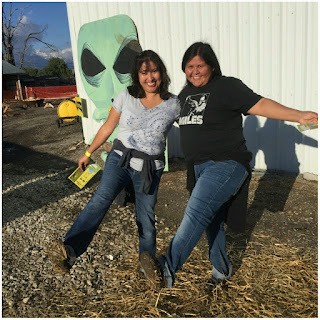 Actually my friend Maritta, wanted to go to the corn maze in Provo, Utah. after the first day of Autumn. Before that day it rained for about three days straight. It even rained that morning before we went to the corn maze. Maritta, texted me telling me that it was raining and I thought she was giving me an update before we went. Finally it stopped in late afternoon, I thought great we can still go and check out the corn maze. So I met up with her and she drove us both to the corn maze near the Utah lake. When we got there it looked like we were the first ones, there were just barely setting up. I didn't know what was going because Maritta, was in charge of our day of fun at the corn maze. After we got ourselves situated we trek our way into the corn maze. Apparently, this year's theme was "bigfoot in Utah," They told us that if we find all the clues and punch our cards they would gave us a prize. I thought ok, it's gonna be quick. I thought wrong. We trek into mud and puddles of water everywhere. Several times I almost lost my shoe or shoes. I wasn't thinking about the mud and the rain how it would gonna be a mess after that rain storm. Maritta wanted to keep going and hit all the posts get our cards punch and finish the maze. I was not having it I wanted to be done with but I stuck to it and keep on going. During our way through the maze, we kept sinking into to the mudd. Omgosh! I felt like we were in quicksand. There were times we got lost but Maritta the navigator got us out. 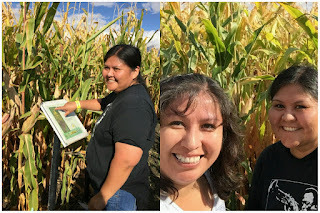 We calculated it took us almost two hours over two miles of walking in the corn maze. By then, I was really tired and thirsty. Luckily we both carried a bottled of water with us that was a lifesaver. After coming out of the corn maze we had to trek out on the muddy trail back to where we started. 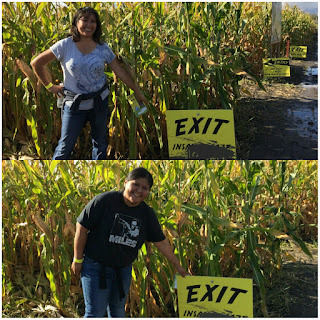 Some of the employees were staring at us and blurting out "I thought we had to send out a crew to find you guys," I was so happy to get out of the corn maze. I didn't think we could ever finish the maze. Oh man, that was a work out, but the good thing was we got our punch card all punched. They told us were the first people to finish the whole corn maze and they gave us free pumpkins. 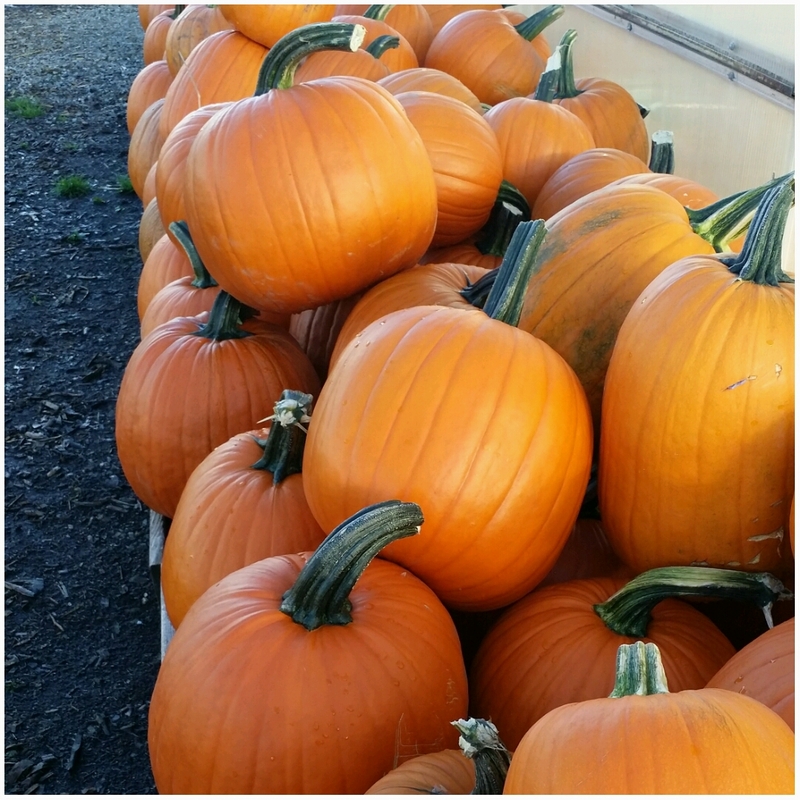 I was excited and picked our pumpkins. Yay!! A whole LOT! of pumpkins we got to choose our own. Mine is actually still sitting out in the front porch. I think that was my exciting time in September for me, It wasn't really a good month for me. I was not enjoying myself. But since then I've been trying to do some cards, scrapbooking and always cleaning my room and enjoy my little craft area in my tiny bedroom.